Laminate floors allow you to enjoy the timeless beauty of wood floors without the expense. Although there are a variety of laminate flooring products on the market, most are durable and tend to perform adequately for many years. A bubble in the flooring may indicate a problem with the installation or with the humidity level in your home. "Peaking" is the common term for the air pockets that form beneath laminate flooring. Bubbles and peaks in laminate flooring can ruin the appearance of this product. Laminate flooring tends to expand and contract in response to normal temperature changes. This type of flooring is also known as a floating floor because you don't affix it to the walls or subfloor. A lack of adequate space between the flooring and the walls can create buckling, peaking and bubbling. Even with adequate amounts of space around the flooring, tension may occur when you attach the molding too tightly over the edges of the laminate flooring, limiting the material's ability to expand and contract properly. Large stretches of laminate flooring require expansion joints. These joints are small gaps between two sections of flooring. Bubbling caused by the excessive length and continuous weight of the laminate flooring usually occurs in stretches of flooring that run for more than 40 feet in one direction. Many laminate flooring products contain surface and core materials that resist moisture, although continual dampness can cause bubbling, especially in substandard products. Moisture can cause the laminate panels to swell, increasing the risk of bubbling. Installing the flooring in an incorrect manner, such as placing it directly over an existing wood floor, may limit evaporation and increase the risk of moisture damage. The best way to correct air pockets in your laminate flooring depends on the cause of this condition. Creating expansion joints along long stretches of flooring can help remove the bubbles. 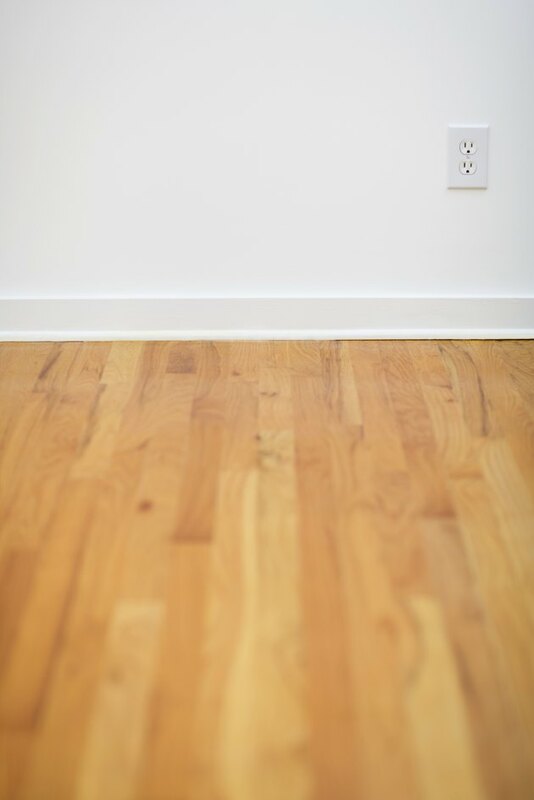 Decreasing the tension by placing smaller spacers between the walls and first sections of flooring can also encourage the boards to lie flat. A dehumidifier may help reduce excessive moisture in the atmosphere and help dry out damp boards, causing them to return to their original form. If your flooring is new, determine whether you have a warranty that may help you replace substandard products. If a flooring contractor installed your laminate flooring, ask the company to come back and inspect the problem area.